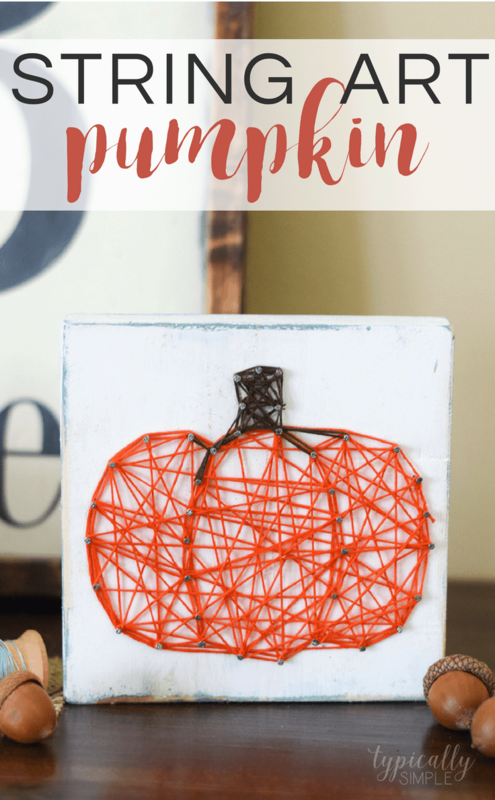 This string art pumpkin project is such a simple craft to make and will add the perfect pop of fall to your table or mantel! 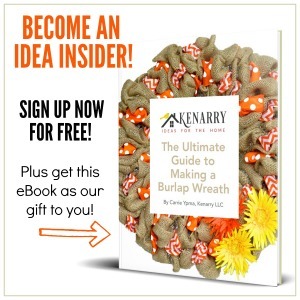 Hi there, Kenarry readers! 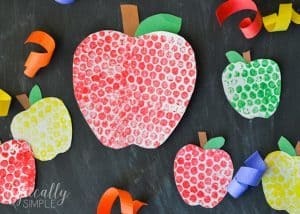 It’s Kelly from Typically Simple and I am back this month with a fun craft project that is perfect for fall! I just love the look of string art and how easy it is to customize a string art project with different shapes, colors, and even words! They are also a fun and simple craft to make for a Pinterest Party or Girls Night Out. Since fall is just around the corner (is anyone else ready for cooler weather?!) 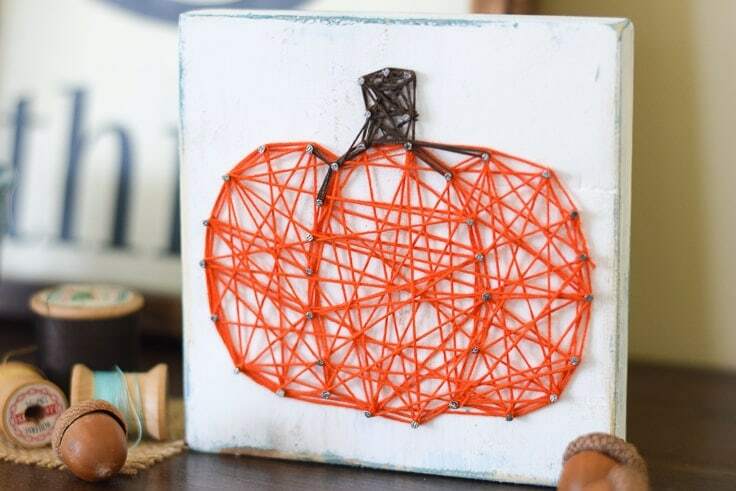 I thought it would be cute to make a pumpkin shaped string art to sit out on our table. I always end up with lots of scrap wood pieces from making other projects and they are perfect for these string art projects! Start by painting or staining your piece of wood. If you want a more distressed look, sand the edges a little with sandpaper after the paint has dried. 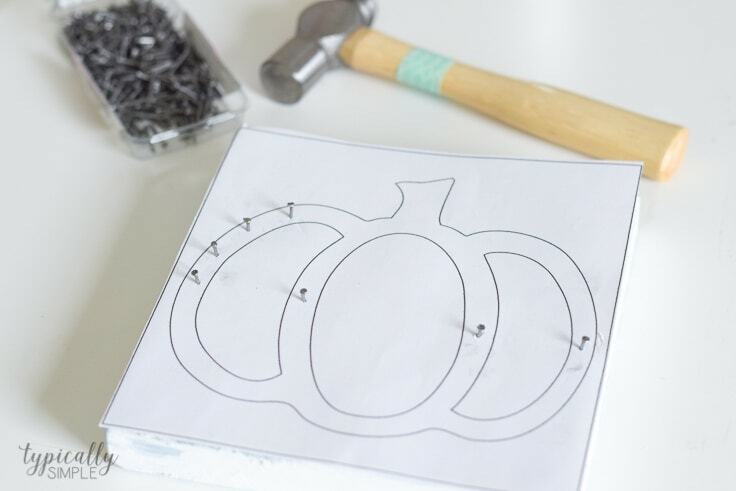 Print out a pumpkin template that is roughly the same size as the piece of wood. 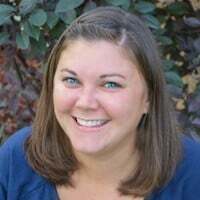 You can find free clipart shapes by using Google or if you have a Cricut or Silhouette, you can design your template in the software program and print it out. Place the template on top of the wood and start hammering in the nails. 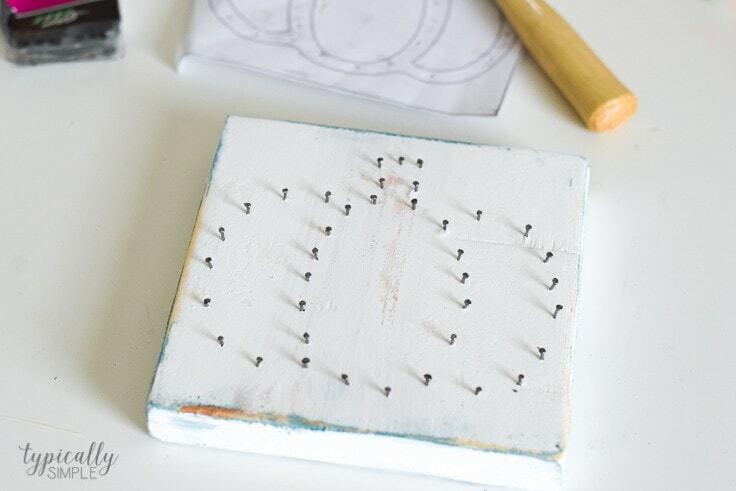 Hammer the nails right through the paper using the lines on the template as a guide. Make sure not to hammer them in too far, about halfway down works well, and space them evenly throughout. 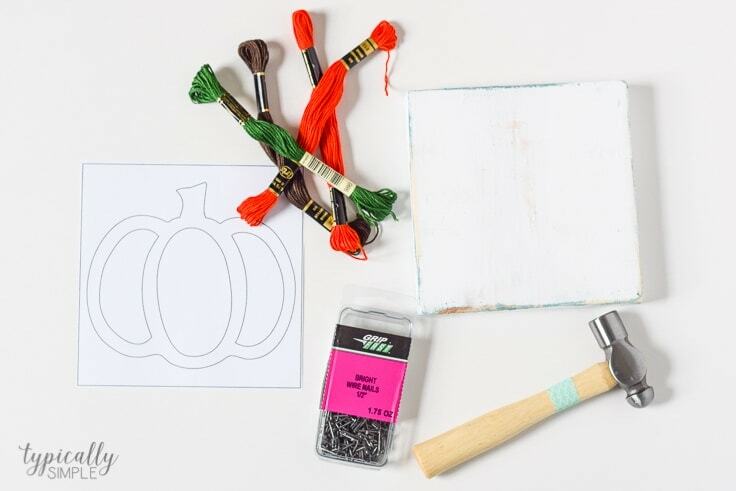 After all the nails are in place, pull up the paper template to reveal your pumpkin design. Take one end of the embroidery thread and tie it in a knot around one of the nails. 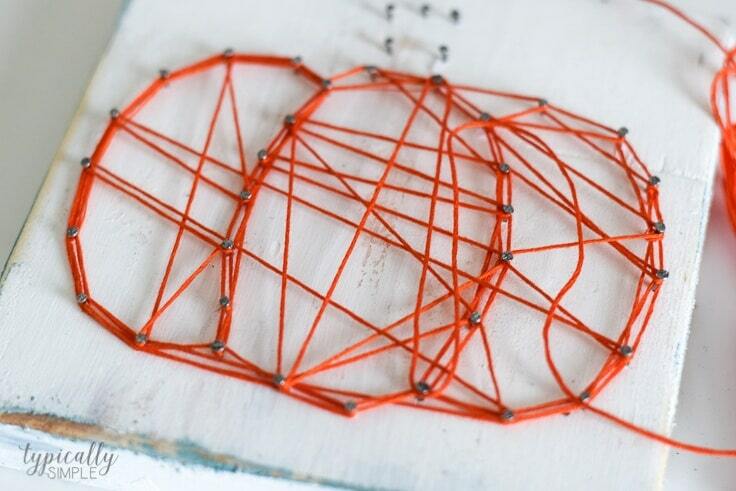 Start the stringing process by wrapping the thread around each nail, going up, down, across, or diagonal. Continue this process until the pumpkin shape is filled with string. Tie off the end to a nail and trim any excess with scissors. Using brown thread, I repeated the stringing steps to create the stem. Get creative with your string art – use different colors or even create a pattern with the string by zig zagging back & forth. So many possibilities! How cute would it be to create these pumpkins in a few different sizes or even use some unconventional fall colors, like teal and coral! 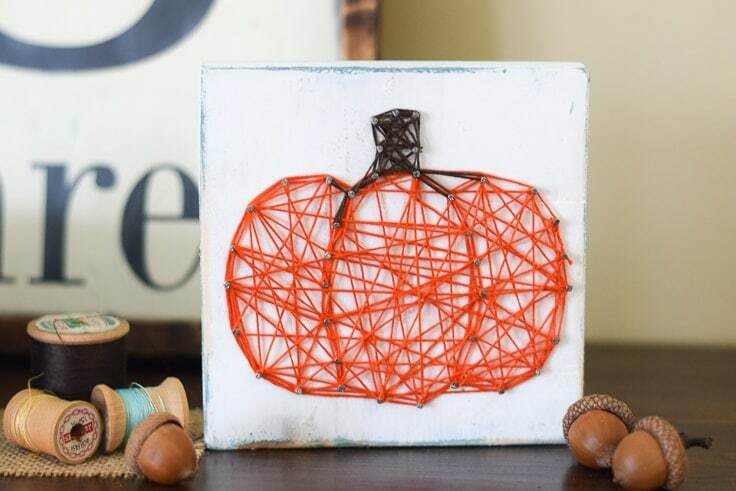 String art is such a fun project to make for any holiday or season! 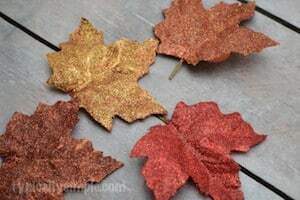 Here are a few more cute crafts that are fun for fall! Thank you so much for the feature, Emily! We love your round-up of fall idea — that crochet egg collecting apron is especially cute!